Looking for some fun Earth Day projects?? 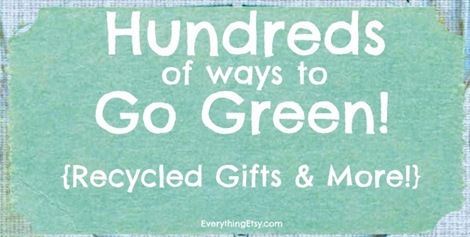 Want to Go Green in a big way? You’ll love all these creative ways to recycle and reuse your way to becoming the Queen of Green! Once you see all these ideas you’ll be thrilled that you saved that last bottle cap or grocery bag. Really, the price of these craft supplies can’t be beat…free works for me! 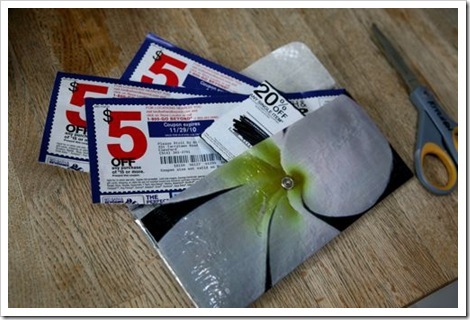 Create your own coupon wallet from a grocery bag…whoo hoo! 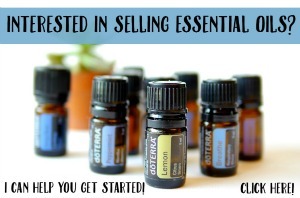 Check out EcoKaren for all the details and lots of cool ideas you’ll want to try! Turn candy wrappers into the coolest colorful belt ever! Yep, you are going to need to make a few of these. 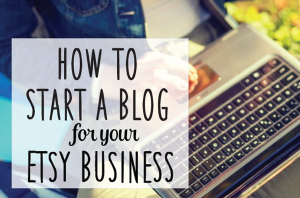 I’ve read Lil Blue Boo for years and I know you will want to subscribe to Ashley’s blog…trust me! Got vintage sheets? 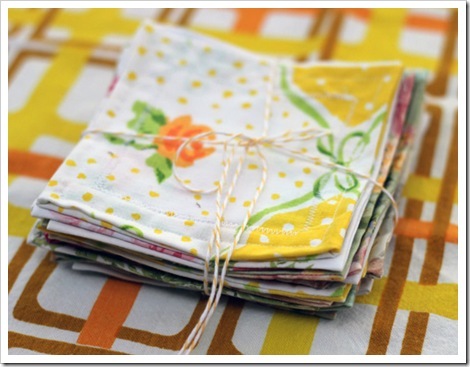 Try making these sweet cocktail napkins from Design Sponge. Pretty, pretty, pretty!!! 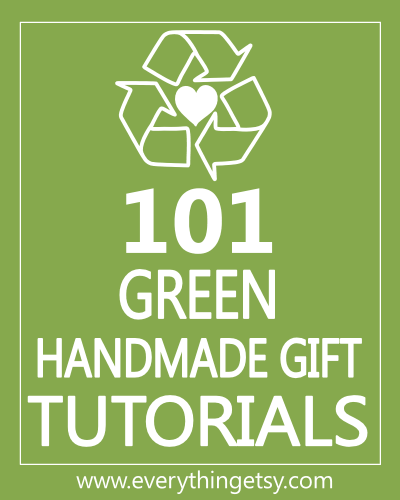 I can’t post a photo for each one of these fabulous tutorials, so check out 101 Green Handmade Gift Tutorials for yourself. You might end up digging in your neighbor’s recycling bin looking for extra supplies. There are tons and tons of fun projects and gifts for everyone. Looking for home decor projects??? It’s awesome to take something old and make it new again! 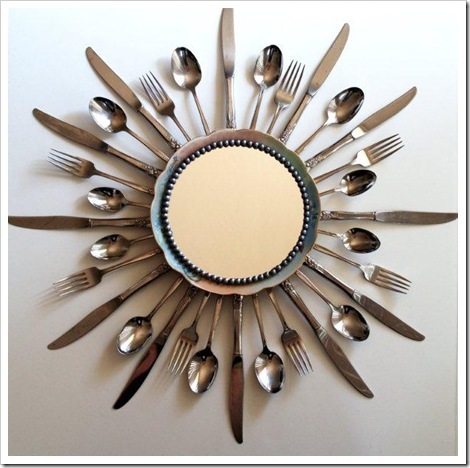 Spruce up your dining room with a Starburst Mirror! You can find all the details at Flamingo Toes. Beverly is full of great ideas for recycling! Wine cork bulletin boards would be a cool addition to your kitchen! 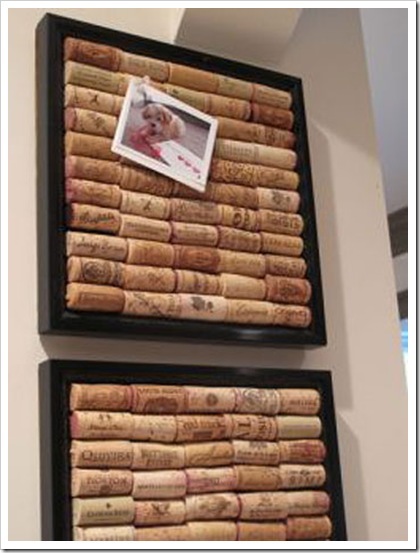 If you drink all the wine for the corks I’m sure it will always be your favorite project! Ha! 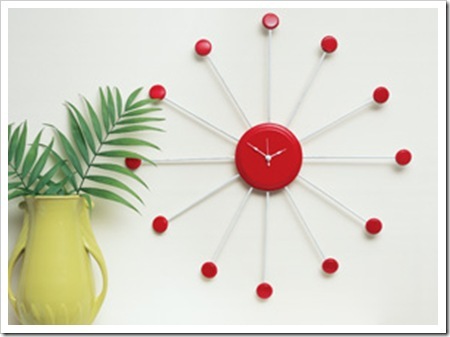 Create a retro bottle cap clock…how cute is that??? I love it! Once you get started on the road to decorating your home with recycled materials you won’t be able to stop! That’s a good thing! 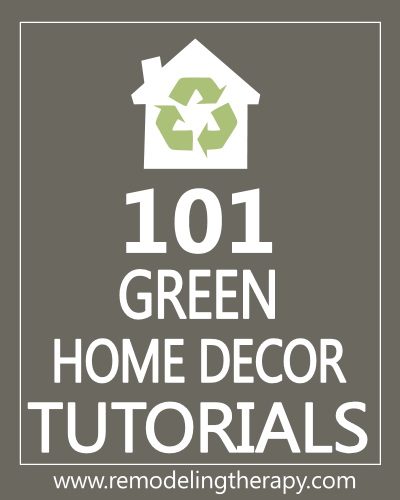 I know you’ll enjoy this list of 101 Green Home Decor Tutorials when you’re searching for your next weekend home project. I think you have enough ideas to get you started on a path to a more eco-friendly life! Do you have a favorite green project? I’d love to hear about it! I’ve been going crazy with saving jars lately and I’m planning on doing something cool and crafty with them. Recycling rocks! Been saving my wine corks for awhile now- time to get my bulletin board made!! Thanks for the great ideas and reminder to go green! !